Truth and Light: Doctrine and Covenants Lesson 29 "Building the Kingdom of God"
Doctrine and Covenants Lesson 29 "Building the Kingdom of God"
2. Why would the Lord send these men on missions, when they and their families are sick, scarcely provided for and some homes only half built? 3. What part did and does the organization of the Relief Society play in building the Kingdom of God? Question 1. 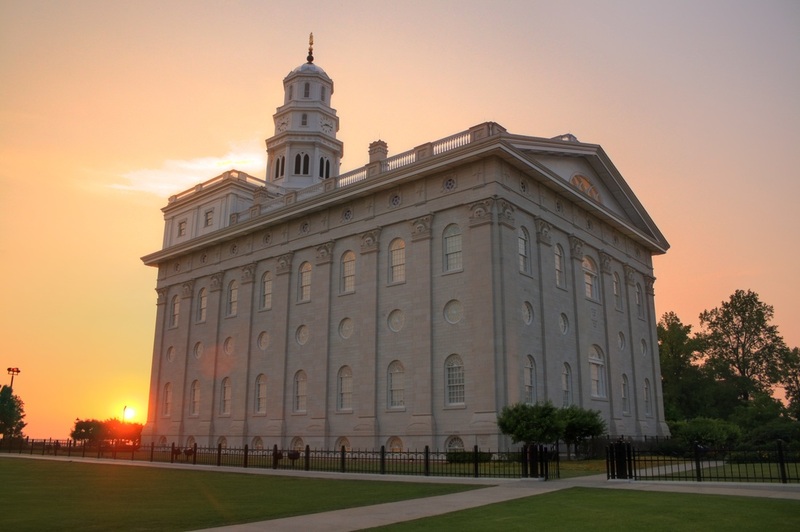 What can we learn from the Saints in those early days in Nauvoo about building the Kingdom of God? Joseph Smith's reasons for settling here are a great indicator as to how we should make important decisions in our lives. Firstly it is important to indicate logic and sound reasoning played it's part. As Joseph states that with "no more eligible place presenting itself,..." it made sense. The logic says everywhere else that they have tried to settle they have been turned from and persecuted. So maybe here in the swamp that no one else wants to settle would be a great place where the Saints will be left unmolested. But along with the logic was great spiritual reasoning: "believing that it might become a healthful place by the blessing of heaven". When we follow this process of using the sound mind the Lord has given us along with spiritual reasoning and prayer we can be safely guided in the decisions we make. What everyone else sees as uninhabitable swampland the Lord and His servants saw as a choice spot. They even called it Nauvoo which in Hebrew is meant to be interpreted as "beautiful". I wonder if we see the same potential in ourselves, in those around us and in the towns and cities where we live. I believe one of the great lessons these early Saints teach us about building the Kingdom of God is that the building starts from within each of us. To the less spiritually discerning, choice lands or choice spirits may first appear to us as the swamps of Commerce, Illinois. Ask yourselves if you have served a mission or if you have sent children on a mission, how was your last day with them? What did you do that day? Did you have a nice meal with them? Maybe you made last minute checks that luggage and passports are all in order? It was probably a day filled with anxious feelings. The young missionary wondering how they will do? Will they be successful? How will I cope away from home for 2 years? The parents are likely struggling to let go, feeling well-pleased but yet sadly recognizing that their "little ones" are no longer little and are growing up and leaving the protection of home to make their own choices. Now consider the circumstances of these early missionaries as they left their families in Nauvoo in 1839. Wilford Woodruff was deathly sick when he departed from his family as was his wife he was leaving behind. John Taylor became deathly sick before they reached New York. Both Brigham Young and Heber C Kimball were sick when they left on their missions as were their families and Brigham Young's wife Mary Anne had just given birth 4 days previous to their departure. 3 days after giving birth, Mary Anne crossed the river to care for her husband in his sickness. George A Smith for his part departed on his mission without an overcoat and had to depend on the charity of members in New York to make him an overcoat. Question 2. Why would the Lord send these men on missions when they and their families are sick and scarcely provided for and some houses only half built? When I read those events I cant help but consider how different my journal entries would have been in the same circumstances. Mine may have read more like "I asked the teamster to stop, and TURN AROUND!" We often compare the Saints back then to ourselves and say we could not handle what they endured and maybe they could not handle what we endured. In reading these diary entries I wonder if we use that as an excuse. How many times have we canceled a home or visit teach because we were sick or because we were just tired after work etc? How many times have we just not gone out to teach with missionaries for the same reason. Or maybe we are too tired to read the scriptures or pray? I don't know about you but when I read these accounts it makes you realize what great faith these Saints had. And it was not just the great priesthood leaders but also their wives and families that we don't often hear so much about. Is it any wonder then when we see such faith, that the Saints of the early Latter Days experienced visions and angelic visitations and the great miracles of the early church. Just read about the work in Chatburn and Downham or at Benbow Farm in UK. This was a great work that was vital to growing the Kingdom of God. The missionary work in England is comparable to the great missionary stories in Alma. Much of the Latter Day church was built on the foundation of the missionary work that these faithful families sacrificed so much for. Question 3. What part did and does the organization of the Relief Society play in building the Kingdom of God? In 1842, as the construction of the Nauvoo temple was in full swing Margaret Cooke and Sarah Kimball joined their resources together to provide shirts for the temple workers. Sarah Kimball was financially secure and purchased the material, while Margaret Cooke was a seamstress and used her skills to turn the material into wearable shirts for those working on the construction of the temple. As the needs increased other sisters joined the effort. Eventually they decided to formally organize and they created a constitution for this organization and took it to the brethren for approval. Joseph Smith loved what he saw and envisaged taking it even further and gave the sisters permission to organize under the authority of the priesthood. I don't know if you noticed that but I really liked that line that the Society was there to help "provoke the brethren to good works". What do you think of that? I think it is a fascinating line and seems to suggest what many Latter-Day Saints have often said, that the sisters are more naturally caring and nurturing and we brethren need them to help us to think more of these things and provoke us more to action. I think this is a fascinating way to view the Relief Society, especially from a priesthood perspective. Tell me what you think. We have all read Moses 7:18 that speaks of Zion being a place where everyone "dwelt together in righteousness and there were no poor among them" As I consider this more and what triggered the organization of the Relief Society it seems very apparent that the Lord's hand was involved in guiding his Latter Day Saints toward building His Kingdom through this great organization we now call Relief Society. This was part of His great plan. The Relief Society is not just a wonderful program for the Sisters it was a very important part of making Zion actually happen. It is astonishing to me what the Nauvoo Saints accomplished when you consider what they had to start with. But their accomplishments are the results of their faith and commitment, their sacrifice and the power that comes from the covenants they were finally able to make as the temple was introduced into this temporary Zion. To conclude, please follow this link to a talk by Elder L Tom Perry in the 1987 Conference. The link will allow you to either read or watch his address on video. It is a fantastic insight into building the Kingdom of God in Nauvoo and how it relates to us today. It will make you feel that maybe we can do more. Maybe we too can produce something beautiful out of the swamps of our lives.